The concept of Building Information Modeling (BIM) has driven an important new trend in the Architecture, Engineering and Construction (AEC) Industry that makes it comparable to the influence of Computer Aided Design (CAD) decades ago. As we all know, CAD has brought tremendous efficiency to us as architects and the adoption of BIM has been essential to bringing organized building information and a transparent definition of the building from architects to consultants. Building Information Modeling is the core concept of Revit, as well as ArchiCAD and VectorWorks. This is different from the previous generation of 3D modeling, or CAD software. Revit is famous for its parametrically controllable modeling method and rich geometry metadata (building information) integration. Traditionally, a 3D model is a combination of 3D geometries with some associated textures, colors etc. But with Revit, you not only have the luxury of changing the parameters of different parts of the design dynamically (and the whole design will adjust based on that), but you can also attach accurate building/material data into the geometries. Since all these data are based on real manufacturer information, at the end of this modeling process, the final outcome can carry tremendous amount of information of the final designed building, which can be used to guide engineering, construction and building management. This is an extremely powerful tool to keep track of the thousands of components in the building that ultimately have to be purchased or constructed and installed. However, the concept of BIM, as powerful as it is, does not solve all the problems of the building industry. Well, the problem is the word “Modeling.” No matter if it’s Revit, ArchiCAD or VectorWorks, they are all essentially modeling tools. 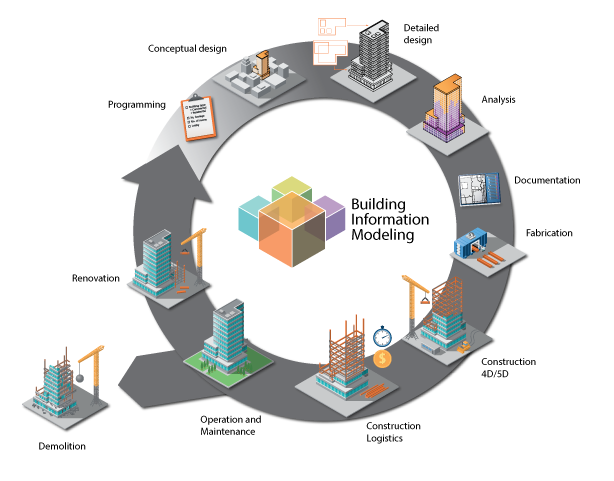 To achieve BIM’s goal of a full building life cycle coverage, one tool simply cannot do it all. In other words, BIM is a term for modeling. It’s a brilliant concept of taking advantage of the modeling process to lay the foundation for the other processes: building management, communication between stakeholders, even providing materials for building sales, but the nature of these processes are so fundamentally different that a modeling tool can’t contain them all. If we look at a building’s life cycle: from planning to design, engineering, construction and then sales and management. The major participants change pretty dynamically: from the owner, to architect, to engineer, to contractor and sub-contractor, then to building sales team and management team. Out of all these people, only a fraction of them are in direct touch with the modeling software, the others may not know how to use a 3D modeling software or simply don’t want to allocate the time or budget for it. But at the end of the day, they are all working on the building, meaning that they need the building’s information and they need to communicate with others about all the information. It’s important to never underestimate how many issues a building can have if you are not in this industry. This is the problem. We have all the information in the BIM software, but most of the people involved in the building process don’t have the software to access to it. No matter how fabulous a full BIM adoption sounds, it’s a rather misleading statement if the information cannot intuitively be passed to the other stakeholders. In other words, besides the disruption of modeling, we also need to rethink about our communication process. The age of hand sketching every drawing has long passed, however, even with all the amazing cloud-based platforms like Dropbox, Slack and Trello in the market, the AEC industry is still stuck with the old fashion ways of communicating. The reason is apparent, none of the existing platforms can directly deal with our major digital production-3D models, meaning that even if we want to use Slack, we will probably still end up pasting screenshots in the chatting channel and then others need to download, mark-up and re-paste it back again. Our communication is all based in three-dimensional context. BIM: Building Information Modeling (local). It happens during the design and engineering phase, where a building model is constructed. BIC: Building Integrated Communication (cloud). It takes information from the complex 3D model into one integrated place where every stakeholder can easily access, communicate and get feedback instantly. BIP: Building Interactive/Immersive Presentation (cross-platform). Our digital production is already in 3D, why are we still wasting time to convert everything to 2D drawings and present them in the most un-comprehensible manner to our non-architect clients? 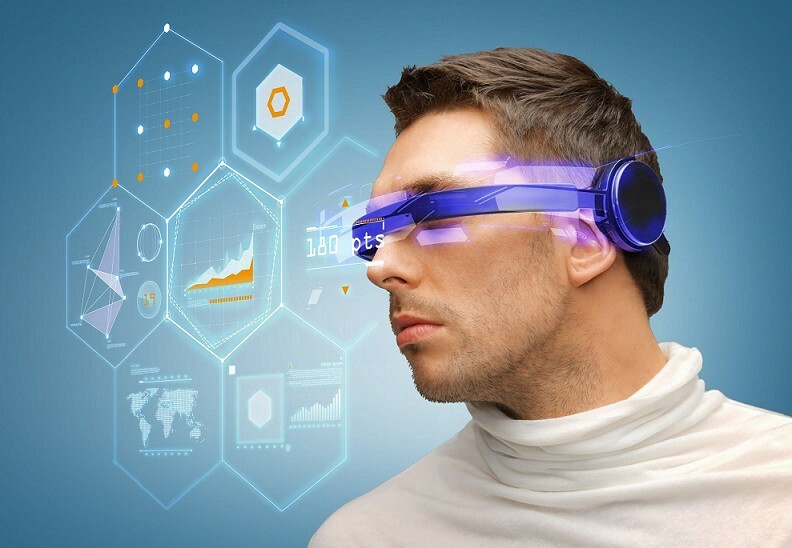 With VR and emerging 3D technology becoming more affordable, the industry will benefit dramatically from using the most intuitive and immersive presentation methods. These three terms are categorized for different groups of stakeholders involved in the process. BIM is for those who do 3D modeling or have the need of direct editing 3D models. BIC is for the everyone involved in the design-build process to exchange information more efficiently. BIP is for owners and building buyers who are not directly involved in the design-build process, but need information to make certain decisions. All together, they can cover all the stakeholders in the building life cycle. 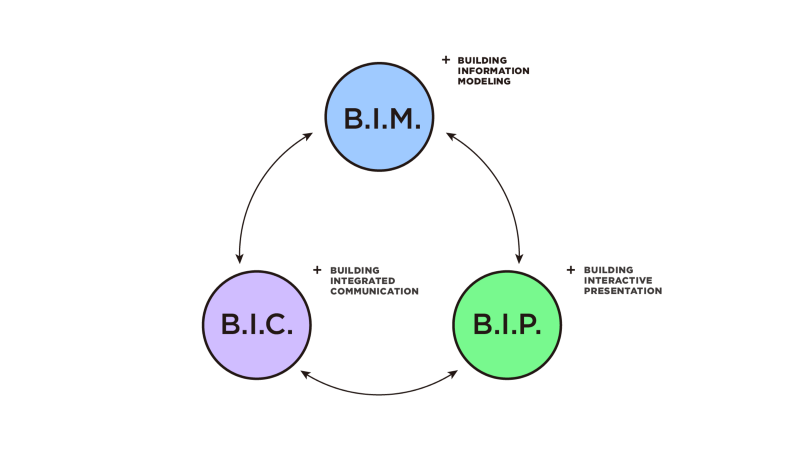 BIM+BIC+BIP can also be interpreted as creating information + communicating information + presenting information. It is a customized workflow that enables architects to effectively communicate with clients and other professionals, thus increases productivity for all stakeholders. The building industry is complex and hard to evolve. Sometimes the need for change isn’t always initiated from the inner circle, but it needs to be grounded with an insider’s perspective. This is why we started Modelo as architects and designers ourselves: to create tools that better serve all of us. Again, instead of just BIM, a cycle of BIM+BIC+BIP using a combination of BIM software, Modelo, and other technologies will promote a healthy evolution in the industry. *Modelo is a web based platform that helps architects, engineers and general contractors better communicate and present their 3D building design.